Dan and I watched the original Back to the Future last night, and today we will of course be watching the second. You can all thank him (or blame him) for this intro...if it weren't for him I never would have event watched the movie once! For today's post, I'm going to be talking about a book I recently finished called the Food Dare. I mentioned this in my monthly goals, and want to give a quick review of the book as well as results! Before I start, I want to give some background. I contacted Lindsey Banks, the author of The Food Dare and fellow Fitfluential Ambassador, to review her new book. She offered me the opportunity to join her affiliate program, so if you're interested in buying the book or joining a Food Dare Team, I would appreciate if you used my link here (I will get a percentage of sales generated from that link, but otherwise I am not receiving any money or other compensation for this review)! I want to quickly go over the food dare phases (I don't want to give too much away!) and let you know what results I saw. Enjoy! The first phase of the dare is something that is extremely important- drinking water! I have had this as a monthly goal many times, and it's something that I still struggle with. Each day the challenge got increasingly more difficult and forced you to drink more and more water. I used my fitbit app to track how much water I was drinking to make sure I always hit the goal each day, and I have to admit I loved this phase! 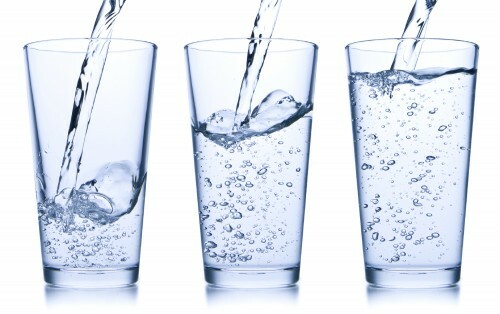 I always feel better when I drink more water instead of juice, alcohol or pop. Results - My skin completely cleared up, I felt more energetic as the day went on, and I saved a lot of money that I usually spend on junk food or drinks at work! This phase of the dare challenges you to incorporate more fruits and vegetables into your meals. This is not a problem for me, because I eat a mostly plant-based diet already. I've always been a huge fan of fresh vegetables and fruit was always my "candy" growing up. This was definitely the easiest phase for me to complete, and I passed each daily dare with no problem! Results - No big change since I already incorporate colors into my daily diet. I did like the fact that I had to be intentional with the amount of fruits and vegetables I ate, and was pleasantly surprised to find that I hit the daily amount with no problems! The next phase was to eat completely clean- as in no packaged foods or frozen dinners, and making healthy substitutions like wheat bread for white. Although I do eat relatively healthy, I do sometimes have packaged food when I'm in a rush, so I knew to complete this phase I would have to do some planning! This was definitely the most time-consuming and hardest phase for me. I think it's really important to eat cleanly and take some time to plan. That way, you don't have to rely on prepared or frozen food. Results - It took a lot more planning and time to complete this phase, but it made me realize how many snacks I have throughout the day. At work I usually have something like pretzels or a piece of candy every few hours, so substituting that with a piece of fruit made a huge difference in how I felt later in the day. Overall, this book really helped me realize what areas in my life need some improvement, and where I'm already doing a good job. I know that I need to keep up with my water intake and not revert back to my habits of drinking coffee and pop while I'm at work. I need to keep up my good habits of eating lots of colorful, fresh food, and concentrate on meal planning each week so I don't have to rely on unhealthy, quick meals. I also love how Lindsey backed up all of her information with tons of research and made the book really simple and easy to read. Each day's dare was clear, and had space for you to make comments. It was more like a journal than a book, and I loved that aspect! Would you be interested in taking a food dare? Have you ever challenged yourself to eat cleanly for a month? What are some of your biggest struggles with being healthy? linking up with Jess and Ivanna! Isn't it funny what you realize when you really pay attention to what you eat? I thought I was really healthy until I realized how much processed stuff I eat throughout the day that were empty calories and didn't really add any nutrients to my body! Food really is medicine and it affects everything you do. Very cool challenge! You're exactly right Margaret! All that mindless eating really adds up and I liked cleaning it up! i have not heard of this!! it sounds like a great dare and kudos for sticking to it. oooh i like the sound of this, but unfortunately, the price is not for me. it's a bummer, because i would totally do it. i definitely need help with the fruits and veggies, not to mention the processed food. i have the water thing down pat, thank goodness. thanks for sharing! Thanks for your feedback Kristen! Have you checked out the e book on Amazon? That might be more up your alley instead of a group! I Kristen! 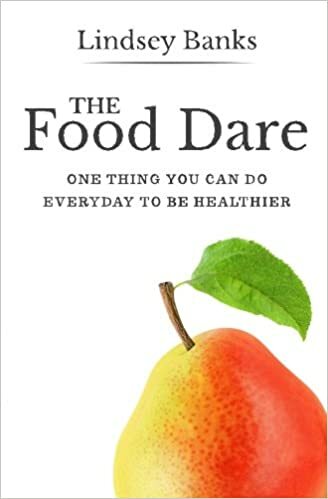 Obviously I would LOVE if you could join The Food Dare Teams but if you want to try The Food Dare at your own pace by getting just the book, you can find it on Amazon! And, don't forget that all Gretchen's readers get 20% off The Food Dare Team membership so hopefully that will help you out with the price! Oh I am such a nutritional nightmare that it would be a huge challenge for me to eat clean for a DAY. But sure, I'd love the dare. Number three would be the hardest for me too. This would definitely be a challenge for you but I think you could do it! It definitely starts out easy and each day gets a bit more challenging, so it's not like you're eating perfectly for 30 days. Definitely worth a look if you're up for it! we are getting ready to start sugar free for a month to see how that goes. im a little nervous about it because i love sugar. i think food dares are good because at the end it usually makes you healthier and thats the whole goal right! After reading this - I decided I was getting salad for lunch. :) Need more greens in my life! I would totally be up for this dare! It sounds perfect for me. I also have to repeat drinking water as a monthly challenge, if I'm not being really conscious about it I will completely forget! That's great to hear Leslie! If you try it out let me know how it goes! Can you believe I've never seen Back to the Future? I think this book and the challenge sounds so interesting. I think I would do it! I can't even believe the whole back to the future thing right now - I remember when the movie came out and 2015 seemed so crazy far away! It's scaring me for sure! That's so funny..I just watched it for the first time last year. I can't imagine watching it when it came out and then having the day happen...too bad the world series prediction wasn't correct! My biggest struggle when trying to healthier is DESSERT. Well, added sugar. I'm addicted, I'm sure of it!